Prime News, International and National Sport, Boxing, Cologne (Germany), April 13:- Reigning youth world champion Sakshi (57 kg) and Pwilao Basumatary (64 kg) have entered the final at the Cologne Boxing World Cup in Germany. The 18-year-old Sakshi gave glimpses of her maturity and prowess by outpunching Thailand’s Tintabthai Preedakamon in a commanding 5-0 victory. The two-time world youth champion faces 2018 Commonwealth Games silver medallist Michaela Walsh from Ireland in the final. Basumatary had a different path to the summit clash in the 64 kg. The Strandja Boxing Championships bronze medallist had to dig deep to see off the stiff challenge of Denmark’s Aiaaja Ditte Frostholm in a split decision. The 26-year-old will take on China’s Chengyu Yang in the final. 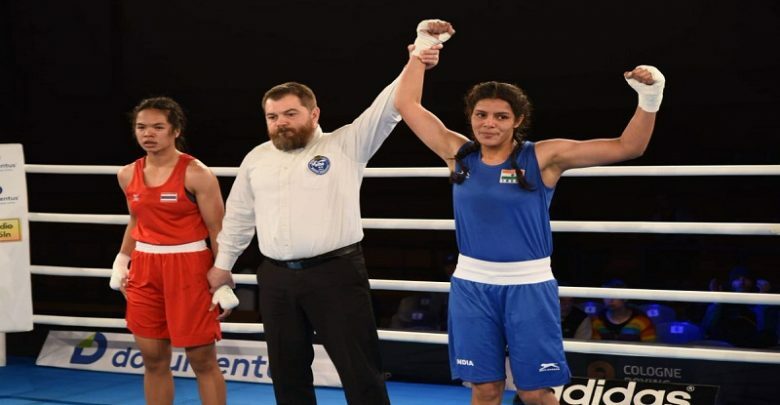 Pinki Rani (51 kg) and Parveen (60 kg) settled for bronze medals after losing their semifinal bouts. 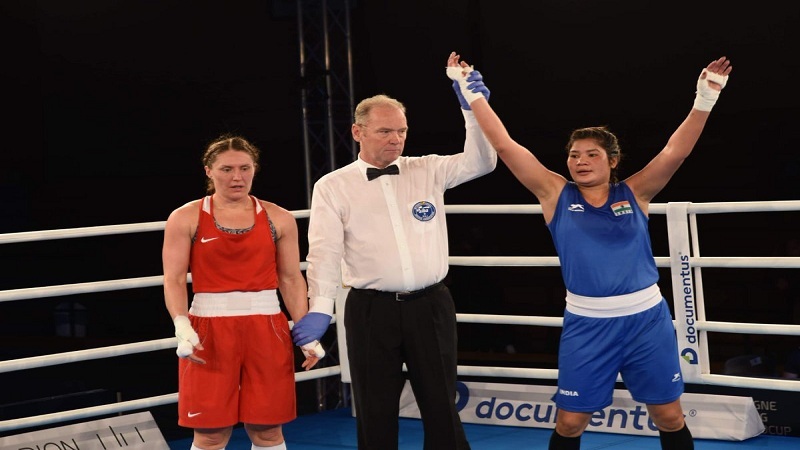 Pinki Rani’s brilliant run came to an end at the hands of Ireland’s 2018 Commonwealth Games silver medallist Carly McNaul, who blanked the Indian 5-0. English pugilist Paige Murney was declared the winner over Parveen in 60 kg.